“Bass sitar” is the term that best describes the surbahar, a lute that is bigger than a sitar and produces a sound closer to the ancient bin (veena) than to any other string instrument. In its heyday during the 19th century, when the number of bin players was rapidly declining, it was considered the ideal instrument on which to play anything from the dhrupad (an ancient, pure classical vocal style devoid of ornamentation) repertoire. Ironically it was this very close likeness to the bin as well as the sitar that brought about the surbahar’s eventual decline and, its sound being associated with an ancient instrument like the bin while at the same time also acting as a supplement to a more modern instrument like the sitar (which was then still undergoing development,) resulted in an unsustainable situation. On the one hand, as dhrupad-style recitals waned in popularity, so did the demand for surbahar players and, on the other, as the sitar underwent extensive modification and became capable of doing more justice to the slower sections of heavier, more serious raags, the surbahar appeared redundant. As recently as the early years of the 20th Century, it was commonplace for musicians to carry both sitar and surbahar and to play the alap section, (pulse-free, exploratory opening to a raag recital) on the surbahar while the faster-paced or more rhythmic gats, (or pre-composed pieces) were played on sitar. But once the sitar became capable of playing each section in a classical instrumental recital, including sombre alaps, the surbahar became extremely rare – and remains so. The instrument was developed during the early years of the 19th Century and started making its appearance on the classical music scene around 1825. But there are a number of myths and legends surrounding its origins, with recent research pointing to Umrao Khan, a Lucknow-based bin player who, in keeping with tradition felt unable to teach the bin to his star-pupil named Ghulam Mohammad as that ancient instrument could only be taught within one’s own bloodlines. There was widespread superstition among dhrupad maestros that teaching the bin to anyone but their own oldest son would bring colossal bad luck and disease and so it was necessary to invent a different instrument to play the same dhrupad repertoire. Yet another legend claims that the instrument was developed as an act of revenge by a young musician who had been refused bin lessons by a dhrupad maestro and hence sought to invent something to upstage the bin with a view to making it obsolete. 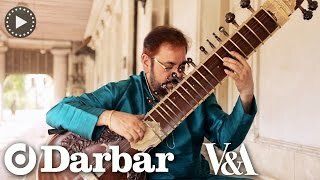 But most music historians readily attribute the invention of the surbahar to Sahabdad Khan, (a highly accomplished vocalist and sitar player of the early 19th Century and great-grandfather of leading 20th/21st Century sitar and surbahar maestros, Vilayat Khan and Imrat Khan, respectively). 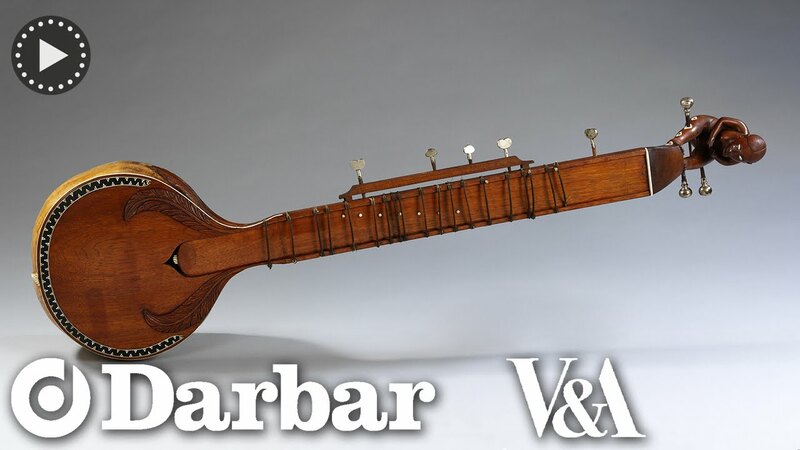 The surbahar may look like an oversized sitar, being very similar in design and construction but it is generally longer than a sitar and contains a wider neck. It is tuned to a much lower pitch – on average some four stages below the sitar – being capable of emitting frequencies of lower than 20 Hz. Its strings are thicker than those of the sitar making it ideal for performances in lower octaves. Also, the thicker strings of the surbahar offer much longer sustainability of the musical note, so much so that for many listeners it provides a unique opportunity to witness the phenomenon of “un-struck” sound, a vital aspect of Indian classical music. The surbahar also has the ability to produce a meendh (glissando) of up to a full octave in the space of a single fret. The tumba (hollowed out gourd) is much larger – and flatter – than that of the sitar. It is cut transversely rather than vertically and there is often a second tumba with a further addition of an underside “foot” as the instrument is too large to rest on the player’s foot. Wood, gourd, ivory and lac, silver mounted pegs and wire strings. India, 1890. Given by Rajah Sir Sourindro Mohun Tagore. The current playing technique of the surbahar is very similar to that of the sitar, especially where the left hand is concerned, and some musicians have no difficulty in going from one instrument to the other. But the right hand technique was originally much closer to the bin, with stroking patterns that require three mizrabs (plectrums). Also, unlike the sitar, it comes in numerous sizes and styles because although it is rarely used in classical music recital these days it is, nevertheless, an instrument believed to bring a certain charisma to its owner with present-day manufacturers offering numerous personalised designs. Among past maestros of the surbahar, Imdad Khan (1848 – 1920) is widely acknowledged as the most outstanding exponent of this instrument. Son of Sahabdad Khan, (who is thought to have played a major part in the instrument’s invention and development in the early 1800s), it is Imdad Khan who is credited with perfecting its technique and creating a unique style of playing which became associated with the gharana (or family style) subsequently named after him, (the Imdadkhani gharana. ) Sometimes, the style is also referred to as the Etawah gharana, named after the place, just outside Agra, where Imdad Khan performed his intensive music practice sessions, including a chilla, (a ritualised, non-stop practice session in isolation, for 40 days.) According to family sources, Imdad Khan is said to have practised the surbahar as well as sitar in a state of chilla for some 12 years. During the 19th Century, Indian classical music was dominated by the senia style, named after Tansen, (the court musician of the 16th Century) and continued down the generations through his descendants. Since Tansen had been a dhrupadia, (performer of dhrupad, whether vocal or instrumental), every musical instrument of the time was expected to emulate the vocal technique of dhrupad. But Imdad Khan, ever the innovator and visionary, chose to focus on the (then) more modern khayal, a classical song-style which, unlike dhrupad, relies on extensive ornamentation and improvisation. Imdad Khan gained immense fame during his lifetime, serving as court musician in the principalities of Mysore and Indore with the pinnacle of success coming with being hand-picked to play before King George V at the Delhi Darbar of 1913. Imdad Khan’s legacy has made this Khan family one of the greatest musical families of India, also gaining a huge following abroad. He gave the 20th (and 21st) Centuries some of Indian classical music’s best-known instrumentalists: of his two sons, Enayat Khan (1894 – 1938 - not to be confused with the Europe-based Sufi master and maestro of rudra veena, “Hazrat” Inayat Khan) concentrated on the sitar while Wahid Khan specialised in surbahar. Of his grandsons, Vilayat Khan (died 2004) was widely acknowledged as one of the best sitar-players in the world while his younger brother, Imrat Khan (born 1935) has become a synonym for surbahar and is currently the most high profile exponent of that instrument. 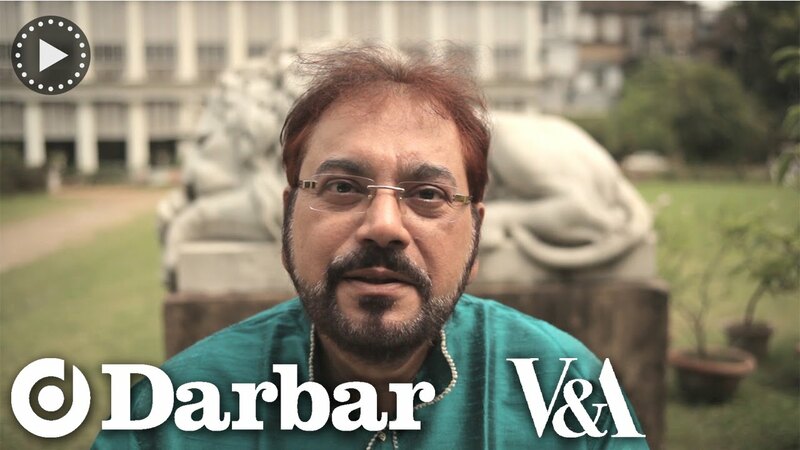 Imdad Khan’s great-grandsons, Shahid Parvez, Nishat Khan, Irshad Khan, Shujat Khan and Hidayat Khan all play sitar or surbahar (or, in some cases, both) while Wajahat Khan charts his own territory with sarod, the only Imdadi sarod player. Of non-family members, the best-known is Budhaditya Mukherjee, who also follows this style for sitar as well as surbahar. Mushtaq Ali Khan, (1911 – 1989) who was popularly known as a musicians’ musician, was one of surbahar’s more important exponents who, despite changing trends, remained committed to the original dhrupad style of the instrument and was probably the only maestro of the modern age who used three mizrabs (plectra) in keeping with the stroking patterns required by the dhrupad repertoire. After the death of Enayat Khan, (see above), Mushtaq Ali Khan was considered the most prominent sitar and surbahar player in India. A lesser-known maestro and, most unusually for Indian classical instrumental music at that time, Annapurna Devi (born 1927 and initially named Roshanara, daughter of the 20th Century’s most influential maestro, Allauddin Khan,) mastered the surbahar in just a few years and at a relatively early age but did not go on to enjoy a high-profile musical career. Instead, she chose the life of a recluse, avoiding the limelight but continuing to teach many of her father’s pupils, including the late sitar player Nikhil Banerjee. Despite this, she continues to be thought of as a musician of the highest calibre in India. Ex-wife of world-famous sitar player Ravi Shankar and the daughter of his guru, as well as sister of celebrated sarod player Ali Akbar Khan, Annapurna Devi did not give public performances after her divorce from Shankar in 1962 although the two gave several highly acclaimed duet recitals while still married. She never made an album but a number of enthusiasts made secret recordings of her private recitals during the 1950s, including a surbahar-sitar duet with Ravi Shankar which is now available on a privately released CD for collectors. Kushal Das (born 1959) is among very few contemporary maestros of surbahar. Descended from a long line of classical musicians, his father having been a disciple of Ravi Shankar and one of the most outstanding exponents of Esraj (quite a rare string instrument, played with a bow and used mostly as accompaniment for light classical songs). Das began his musical education by training on sitar and only later began concentrating on surbahar. A leading live performer for All India Radio, (the country’s top classical music radio), his performances have been highly acclaimed in India as well as abroad.